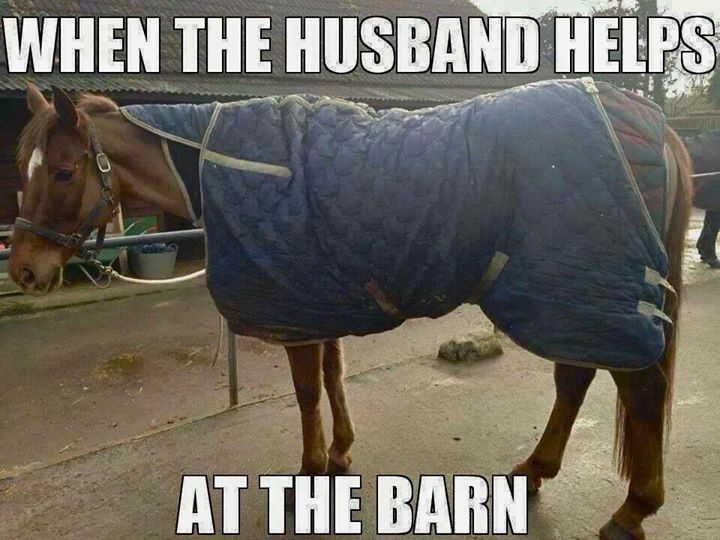 I’m sure we’ve all had non-horse people offer to help at the barn and sometimes the results can make you laugh. However, I’m certain my husband would not have gotten the blanketing this wrong. Nope, he would have left the blankets off altogether! My dad never helped around the barn, but he did used to feed my mare doughnuts and chips. Needless to say, he was her favourite person!